They may seem like two very separate parts of the human body but it's actually surprising how intimately connected the gut is to the brain and vice versa. On this episode, pharmacists and nutritionist Ross Pelton will join Karolyn to talk about why this connection is so important to our over all health. The show will focus on how to enhance brain health by influencing gut health. 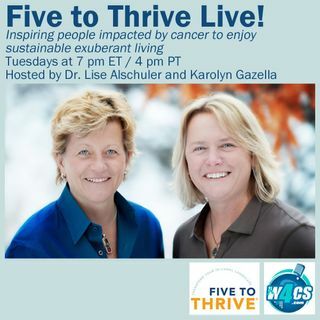 This show is broadcast live on Tuesday's at 7PM ET on W4CS – The Cancer Support Network (www.w4cs.com) ... See More part of Talk 4 Radio (http://www.talk4radio.com/) on the Talk 4 Media Network (http://www.talk4media.com/).